I wanted to make my best attempt to photograph and show off a funny feature of the Zimbabwe banknotes. Some of these banknotes have security features on them, like color changing / holographic ink, watermarks and complicated color schemes and had them as far back as the early 1980s or the 1990s, much earlier than I remember the United States introducing these to the "greenback." 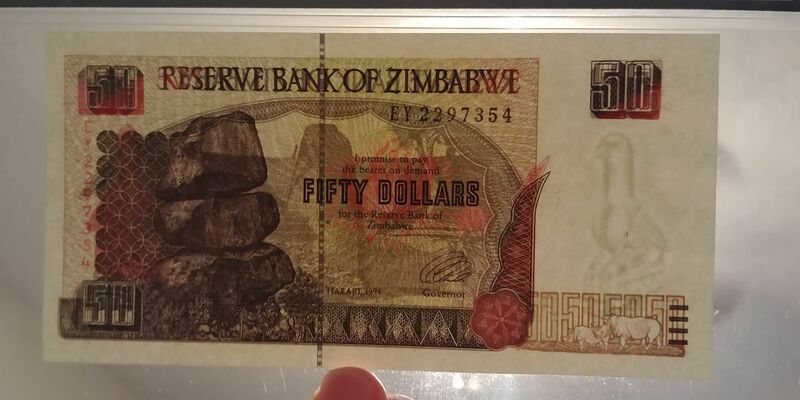 The 1983 Zimbabwean notes have watermarks but I don't think the US introduced watermarks to our currency until the mid- or late 1990s. One thing that's particularly interesting / funny to me is the "Zimbabwe Bird" watermark that they sued and the fact that it changes between the notes introduced in the 1980s and the notes introduced in the mid-1990s. 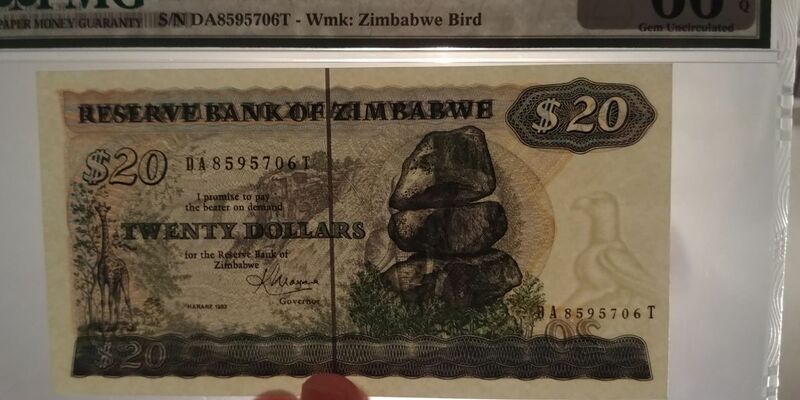 At least some of the Zimbabwean coins from this period also feature this bird and it looks like that on the coins. But then in the 1990s, it's like someone grabbed the bird's head and tried to stretch the neck out. All of a sudden the bird looks thinner and that neck just feels strangely long. Personally, I think the first design looked a lot better. That later design just looks a bit odd to me and not nearly as nice.